Serena Williams has revealed that as she tried to get match fit and return to the court, she made the decision to stop breastfeeding baby Alexis Olympia. Serena gave birth to her baby (who she and husband Alexis Ohanian call by her middle name, Olympia) in September last year. After a textbook pregnancy, she navigated some really challenging postpartum complications. 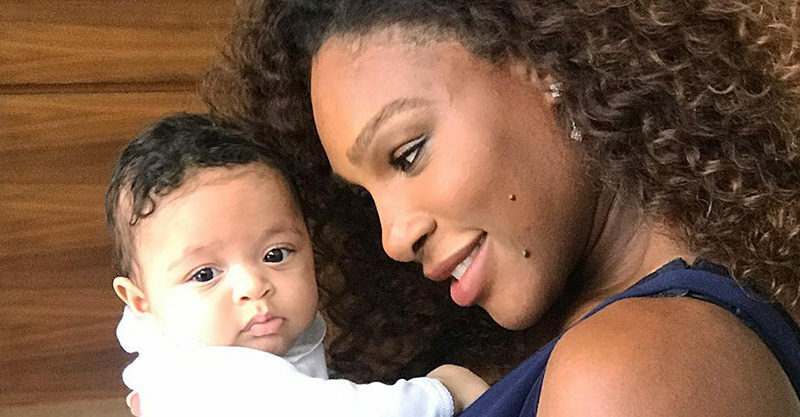 In the hours after Olympia’s birth, Serena suffered a series of blood clots in her lungs, which caused her to cough so violently that she popped her c-section scar. Medication administered to prevent further clots caused the site of her scar to haemorrhage and her rushed straight back to surgery. Six weeks of bed rest followed as Serena got to know her baby girl and focused on recovery. A little further down the track was a planned return to the sport she loved, but circumstances were conspiring to delay her postpartum court debut. The champion mum-of-one explained that despite best efforts – like gruelling workouts and a vegan-only diet – she was unable to get her body into the sort of peak, athletic condition her sport demands. Something drastic had to be done, and she made the tough decision to wean her baby girl in the hopes that it would help her achieve her professional goals. A heart to heart with her baby was the first step towards this new normal. “I literally sat Olympia in my arms, I talked to her, we prayed about it,” Serena explained during a pre-Wimbledon news conference in London on the weekend, Today reports. While she’d originally decided to give up breastfeeding and return to training in earnest when Olympia was three months old, when it actually came to the crunch things took a little longer. The tennis champ says that there’s a common perception that women lose weight when they’re breastfeeding, but for her, that was not the case. She’s keen to share the message that there are no hard and fast rules on this and that each woman’s body will respond differently to nursing their babies. For Serena, giving up breastfeeding meant she was able to achieve the peak form required to be one of the world’s best tennis players. She stresses her body responded in its own way, and not every woman will have the same physical response to feeding – or not feeding – their babies. “It was crazy. I just kept dropping [weight]. That’s when I learned that everything was different,” Serena told the assembled media.